Imagine cruising along on crystal clear waters with the brilliant sunshine warming your face and body. That's the experience of stand up paddling in Barbados. Stand Up Paddling (SUP) is one of the latest watersports crazes to hit the island! 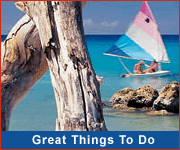 The calm waters around Barbados are ideal for this fun and energizing activity. Some of the most popular Barbados beaches for Stand Up Paddleboarding are Carlise Bay and Batts Rock on the west coast. For more experienced SUP enthusiasts the waves of the east coast will be a thrilling challenge. 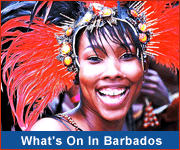 There are several SUP instructors and watersports operators to choose from in Barbados. Check at your hotel front desk for their recommendations. Beginners can start off with instructions & lessons while more experienced stand up paddle boarders hit the water! Some SUP tours can be combined with swimming with the turtles for a truly exciting and rewarding day of your Barbados vacation.